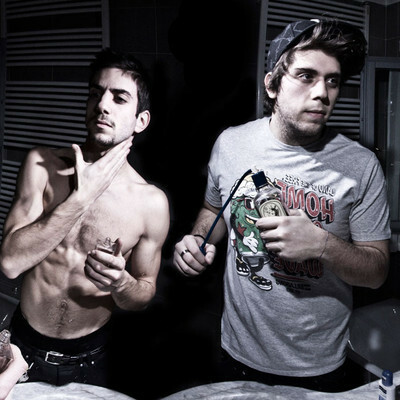 This Italian duo smashes it up with their heavy synthesizers and their toothpaste! Bizzo and Alvin formed The 'S' in 2009 becoming recognized for their fierce yet melodic style. Their epic melodies have become huge hits in the underground electronic scene and the duo has managed to share the live stage with big names such as Deadmau5, Sebastian, Cyberpunkers, Crookers and others. 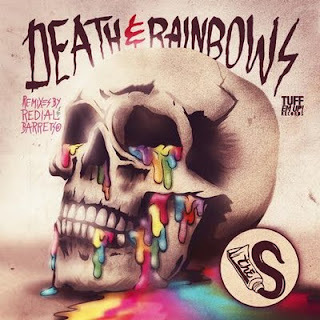 Their latest album DEATH & RAINBOWS EP was released yesterday, the 18th. Check it out below. Death & Rainbows? That's 2 of my favorite things! :D Good stuff, thanks for sharing! good one. Love the poster- pure metal and epic. Like the previews. I let it all play through a few times. Kept getting really into the song then it'd change out of nowhere. It's an emotional roller coaster lol. I know! Teasing us and what not. Worth the buy though imo. These guys rock! Love the name and songs. This.. this is good stuff. Nice find. I enjoyed it. Death and rainbows... a contradiction within its own name. Interesting! There first song made my brain do a backflip. Very cool. Man this stuff is so intense !